Former professor & Head, Dept. of Physics, (IIT- Madras), Founder head, Dept. of Physics, IIT Guwathi. Former Chairman, IIT JEE (IIT Madras & IIT Guwhati). Founder Exec. President of Physics Academy for North East. 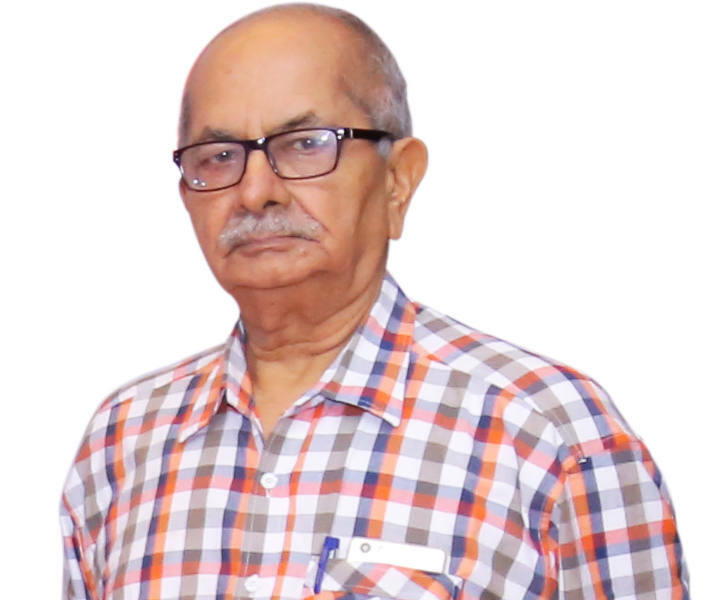 Prof. Murti Y. has played an instrumental role as the Head Examiner and paper setter of IIT JEE several times. His teaching and research experience span over four decades extending support to undergraduate, post graduate and doctoral levels. He has been guiding many Ph. D students and has over 150 research papers & books to his credit, in the domain of condensed matter physics. Prof. Murthy plays a pivotal role in the selection of the faculties. He also helps in the yearly course planning and designing the course content and test papers. His experience matched with his skills has proven to be very beneficial to the students as this helps them get the best quality of education as per the latest syllabus at Rao IIT. Learning science and mathematics at this stage provides a vital foundation for advanced education in various areas of technology. This learning, while being intensive and demanding, is exciting and memorable for a motivated student. Biology, Chemistry, Mathematics and Physics today represent disciplines of the highest order developed by the Homo sapiens species. We must study these subjects to get the required skills and grasp the ingredients with an enquiring mind. Modern technology is a very broad and sophisticated field with many variants. A practicing technologist is expected to meet professional challenges. To be successful, one's fundamental training has to be firm and good. Those working at the frontier level need an even higher level of expertise to be able to contribute significantly to technological advances. It is well known that a number of discoveries or innovations in Science and Mathematics have led to technological upheavals unleashing previously unknown scenarios. It follows that an engineer, doctor, scientist or technologist of all denominations should be well prepared to meet and go in step with such revolutions from time to time. There is no alternative but to work hard preparing oneself with the strongest competency in these basic disciplines. What is needed is a dedicated mind - a mind that is devoted to the studies with full fervour coupled with unwavering determination.Join this delightful adventure and enjoy the noble fruits. Seeking knowledge is the highest form of human endeavor. The joy in the effort is more than the joy in the reward.